Once again another worth while CD from our friends at Rock a Shack in Japan. 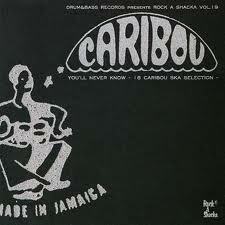 All the tracks are taken from the Caribou & Downbeat Jamaican labels. Nice mix of 60's Ska vocal tracks and two great instrumentals, each by Don Drummond and the Mighty Vikings. Excellent track selection by Minoru "Tommy" Tomita. Informative booklet in Japanese and English by Martin "Mandingo" Williams. Issued on Drum & Bass records Rock A Shacka Japan DBCD 019.